Description This Jackson, Georgia hotel has an outdoor pool, free internet access, non-smoking guest rooms and free breakfast. 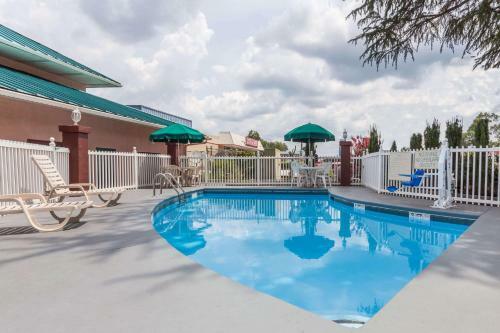 An outdoor pool free Wi-Wi free breakfast and proximity to popular state parks are top perks at the Days Inn at Jackson. The 30 rooms at this exterior-corridor two-story hotel have free Wi-Fi and cable TVs. The hotel's free continental breakfast gets guests off to a good start in the morning over a weekday newspaper; in the afternoon the seasonal outdoor pool lets guests relax after a busy day. Keep up with the home office with the fax and copy services at the front desk. Parking is free. 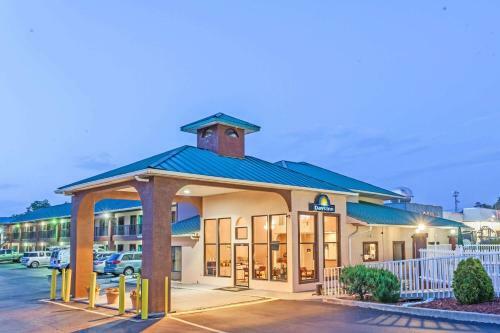 The hotel is on U.S. 23 less than one mile from restaurants and shops in historic downtown Jackson. Indian Springs State Park is two miles away; hiking trails along the cascading waters at High Falls State Park are less than five miles from the hotel. Shop for deals at the Tanger outlet mall on I-75 about 13 miles away. Catch a NASCAR event at Atlanta Motor Speedway about 25 miles away. Hartsfield-Jackson Atlanta International Airport is about 43 miles away. 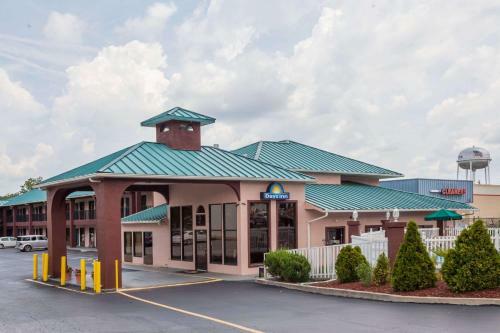 Add Days Inn By Wyndham Jackson to your free online travel itinerary.